We have a wonderful new team this session. I'm thrilled to welcome my new Legislative Director, Maura Dunnigan, who was interested in getting more involved in public policy, having most recently worked in the world of higher education. We're also joined by our two bright interns, Shasche, a grad student, and Grace, and undergrad student, from the University of Maryland College Park. During these first few weeks of the General Assembly session, I've been spending my time in committee briefings, getting to know new colleagues, meeting with constituents, and getting my ideas for legislation to the bill drafting professionals at the Department of Legislative Services. I'm waiting for a number of bills to be returned and haven't "dropped" (introduced) any just yet. The Commission has recommended spending $3.8 billion a year on education, with a $325 million increase this coming year and a plan to increase by $750 million next year. I was disappointed that the work to update the funding formula (which has not been updated since 2002), and how it would be shared between state and local government, will not be done this session. I believe it is very important to put the legislative framework in place this session to be able to fully roll out the reforms next session. There are few more fundamental responsibilities of government - and, here in Maryland, it's constitutionally required - than having an adequate and equitable education system. I was recently named Co-Chair of the Joint Audit Committee (JAC), along with Sen. Craig Zucker from Montgomery County. The JAC, at its most basic, has responsibility for ensuring that our state agencies are providing the services we expect. 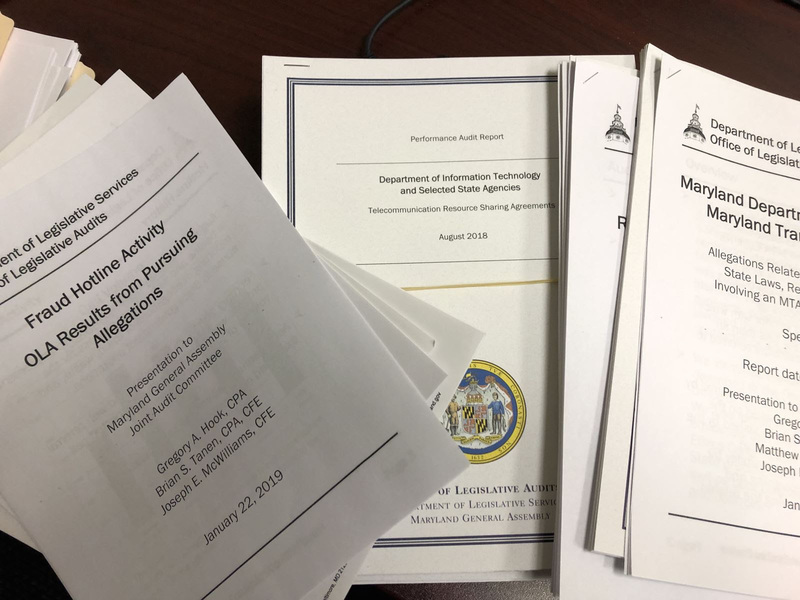 Last week's hearing featured presentations on two reports to the fraud hotline about questionable actions by (now former) employees of the Department of Social Services and the Maryland Transit Administration. Dozens of auditors work throughout the year to examine whether agencies are performing their duties appropriately. The JAC has oversight responsibility for the Office of Legislative Audits, which regularly issues reports on their work. 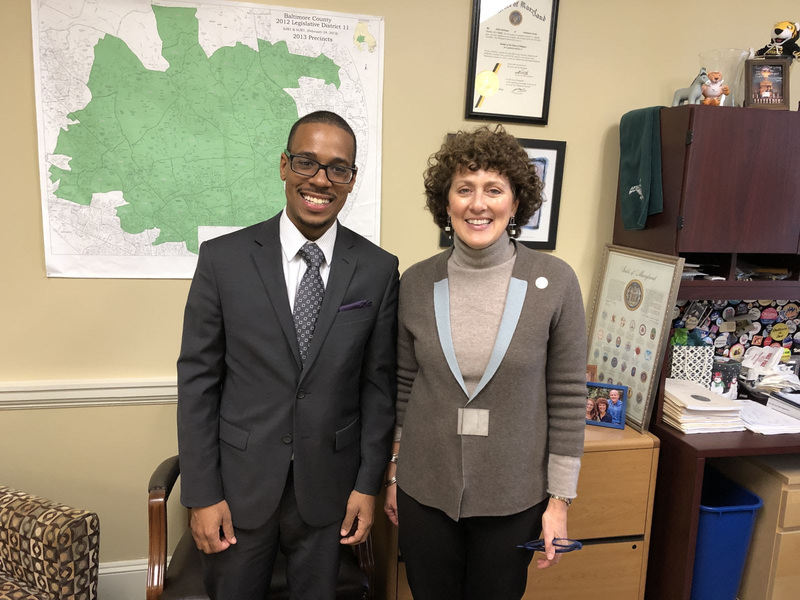 I was happy to meet Brendan Penn, Baltimore County Teacher of the Year, who teaches science, technology, engineering and math at Lyons Mills Elementary School. Brendan was bubbling with enthusiasm about teaching his young students and it's easy to see how wonderfully he could engage a classroom! In an unprecedented convening last week, the Baltimore County and Baltimore City delegations came together to hold ajoint briefing on the proposed development at Pimlico. More than just about preserving the tradition of the Preakness, this exciting neighborhood and community development opportunity has important ramifications for both the city and the county. The Maryland Stadium Authority recently issued a report outlining a proposal to rebuild the iconic setting for a variety of mixed uses including housing, retail and recreation. Last Monday, Martin Luther King Day, Councilman Izzy Patoka and I held a Day of Service. 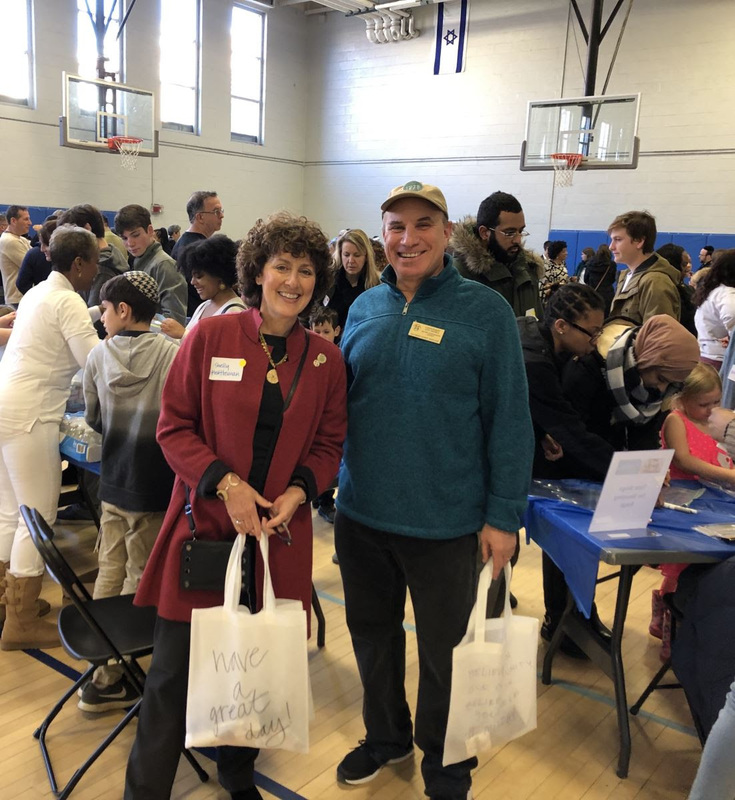 The cold prevented us from carrying out our community clean-up, but we were able to join the Jewish Volunteer Connection to make blessing bags for homeless people, decorate cookies for Our Daily Bread, and a number of other activities. 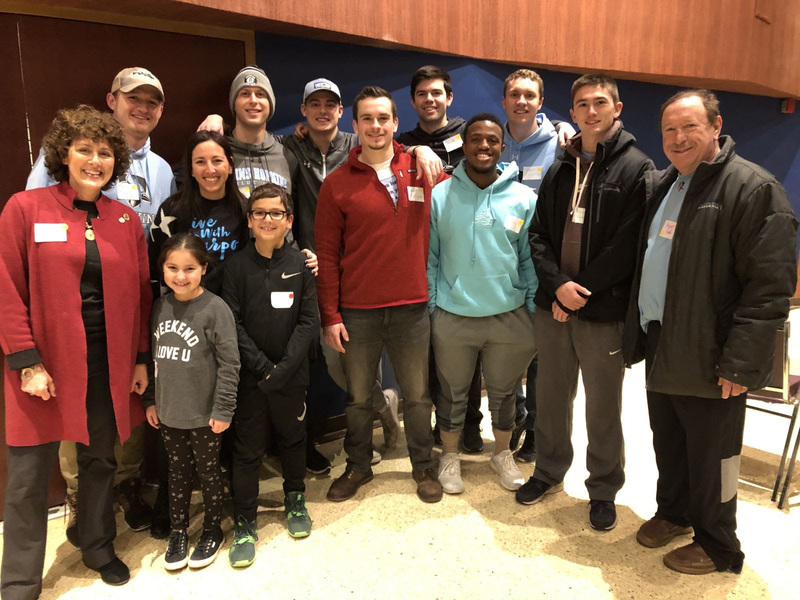 We were joined by members of the Johns Hopkins University baseball team, as well as many community members. As you can see, we are quite busy! I'll update you in the coming weeks on my own legislative initiatives. Next Monday, February 4th, I hope you can join me for the first-of-the-year Shelly@theDeli at 8:30 am at Gourmet Again, 3713 Old Court Road where we'll have a chance to discuss many of these issues - and more. I hope to see you there!